In a three week span, the related widget has been clicked on 2.9 million times across all the sites that have been using it — so roughly 1 million clicks/week. 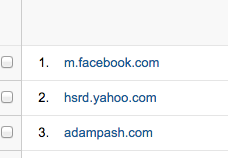 This made adampash.com (where the widget was hosted) the third highest traffic referrer behind Facebook and Yahoo. Users who clicked the widget averaged > 4 pages per session, compared to the site-wide norm of ~2 pages per session. Their sessions lasted, on average, between 8 and 9 minutes, which is 3x longer than the normal duration. Last, we took a look at whether or not the related widget damaged the effectiveness of the native circulation unit in the sidebar. It did not. All this data comes from Josh Laurito, your friendly data guru downstairs. 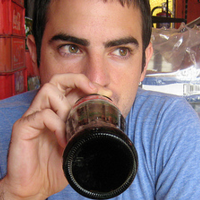 Everyone should say "thanks" to Josh whenever you see him, because it's safe to assume he's always doing something helpful that you don't know about. One last important thing: The related widget has moved to the Gawker-Labs.com domain, so going forward, you should point your browser to http://gawker-labs.com/related-widget… when you want to build a widget.